July 2016. Who would forget the mobile game phenomenon that made a lot of buzz this time last year, Pokémon Go? For those who are not familiar with Pokemon Go. This is a location-based augmented reality game that makes use of a mobile device’s camera and GPS capabilities so that users can walk around and capture, train, or battle virtual creatures called Pokémon. These creatures appear on the mobile device’s screen, overlaid on the real-world environment, which makes the experience more interactive and realistic for the user. Augmented reality (AR) is a digital technology that overlays digital information such as audio, video, and photo on a real-time camera view of a smartphone, tablet, or PC. 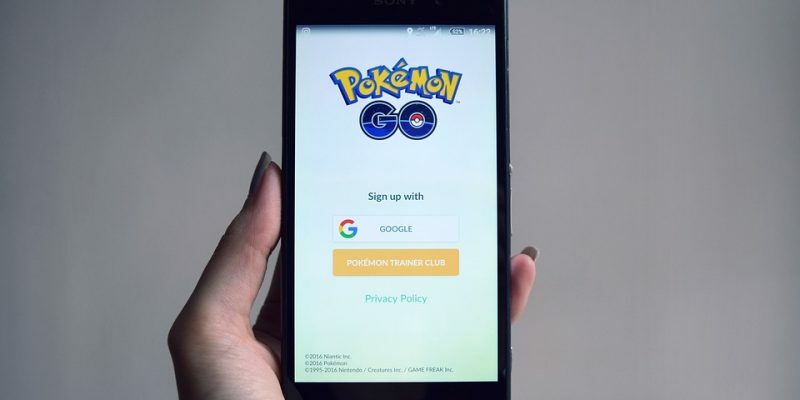 Pokémon Go is only one among a number of existing augmented reality applications today. There have been a few who came before, but none has come close to the spotlight that the Nintendo game has basked under for a long period of time. The fact that Pokémon already has a huge following as its roots date back as early as 1996 largely helped with the success of the game. However, what made it so popular is the technology that came with it. There are only a few companies using AR today and for brands that do, it’s easier to take advantage of this technology. AR allows users to engage themselves completely on the advertised product; therefore, creating a more intimate experience between brands and users compared to traditional marketing strategies such as TV commercials, billboards, or print ads. The AR gimmick has definitely made businesses attract a larger audience and helped everyone—young and old alike—join the craze. The IKEA Catalog. This app allows you to download the latest edition of the IKEA Catalog. Through the use of Augmented Reality, users can browse products and see how these furniture would exactly look like when placed in their physical house. Sephora has also joined the club with its Sephora Virtual App. Developed in partnership with ModiFace, this app scans a user’s face and lets users play with lip colors, eyeshadows, and false lash styles at the comfort of their own home. It’s very convenient, considering the struggles of repetitively applying and removing makeup at a department store. Another one in the field of cosmetics that use AR is HiMirror Plus. It’s a smartphone app that scans the user’s face and can tell what’s wrong with their skin type. It helps them see how certain beauty products affect their skin and help them decide the perfect match for it. Many industries have already taken advantage of AR in their campaign, and with its increasing trend, it seems that many others are going to be headed in that direction as well. Amazon is already considering opening augmented reality furniture stores, and IBM is trying to bring users a personalized shopping experience with a new augmented reality shopping application they are currently developing. It’s exciting to live in a generation that has witnessed the conception of augmented reality and how it has improved over the years, and it’s even more exciting to think about the vast possibilities this technology has to offer. It has been a great vital tool especially in a lot of digital marketing campaign. Where in digital marketing do you think AR will take us next? Lois Sapare is an editor at Scoopfed. She is a former student journalist with a bachelor's degree in Information Technology. When she's not writing content on a variety of topics, you can find her watching psych thriller films or keeping up with the latest buzz in the tech world.